Subject: Stripping the fly for permit. I read your blog and I figure I ask you about stripping the fly after making your presentation to the fish. I see a lot of videos out there where people are stripping fast, slow, or the famous merkin drop to the bottom technique. Also, I do see people doing short strips after a presentation has been made. I know that every permit acts different at different times. Anyways I would like to get your take on this subject. Great question. 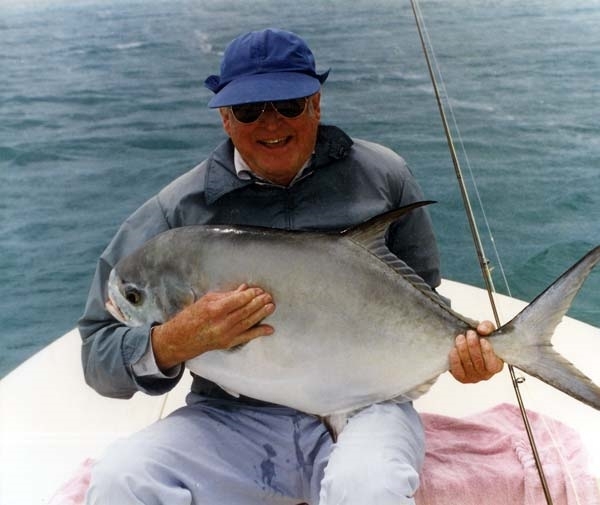 You are right that every permit does act a little differently. It is hard to put a blanket statement out there about exactly what to do when flyfishing for permit because so much of what is done is based on the behavior of the fish. With this being said, I can also say that the reason that we don't really catch all that many permit on fly (compared to fishing with live crabs) is because, in my opinion, our fly designs at this time are really not all that good. I don't want to pretend that I have the answer or that I am a more talented fly tyer than the rest of the tyers out there. I'm not. My flies are no better than anyone else's. The fact is that all our flies right now basically represent a dead crab. Live crabs have tremendous movement and even make a clicking sound as they move their legs. When a crab is fresh, it is never refused by a permit on a great cast. As the crab gets weaker from a few casts or simply being on the hook for a while, it does not move as fast and does not make the clicking sound. These slow movers are often refused by permit. When the crab is dead, the percentage of bites is very similar to the success rate we have with flyfishing. This means that if our flies represent a dead crab, they will work...sometimes but not that often. It is my opinion that our flies look the most alive when they are falling to the bottom. Many other people feel the same way and the traditional approach is to cast close to the permit and let it fall to the bottom. A real crab does exactly this same thing. The shoot to the bottom and either try to get in a hole or rely on camouflage to keep from being eaten. This is when our flies are effective. We can effectively mimic this behavior. I will cast close to the permit and if they see the fly drop to the bottom and follow it down, I do not do ANYTHING. Stripping at this point almost always results in a spooked fish. My best success has been to allow the fish to tail on the fly and then slowly strip out the slack, hopefully coming tight on a permit. I strip quickly for small fish and get them following the fly and suddenly stop it. This always reminds me of a kid going over the handlebars of a bicycle. I also strip the fly if I have cast closely to the fish but he did not see it go to the bottom and I try to get his attention. Usually it spooks them, but sometimes it works. If they come over, I dont do anything.